It’s a question liberals like to ask when it comes to guns – Why do Second Amendment proponents need so many guns? Why would they need more than one? It’s not hunting deer that has gun owners buying or collecting their rifles and ammunition. The Second Amendment is in place to help the ordinary citizen protect themselves from an out-of-control, tyrannical government. Americans learned their lesson during Lexington and Concord, or at least some of us did. And we’re never going to forget that lesson. 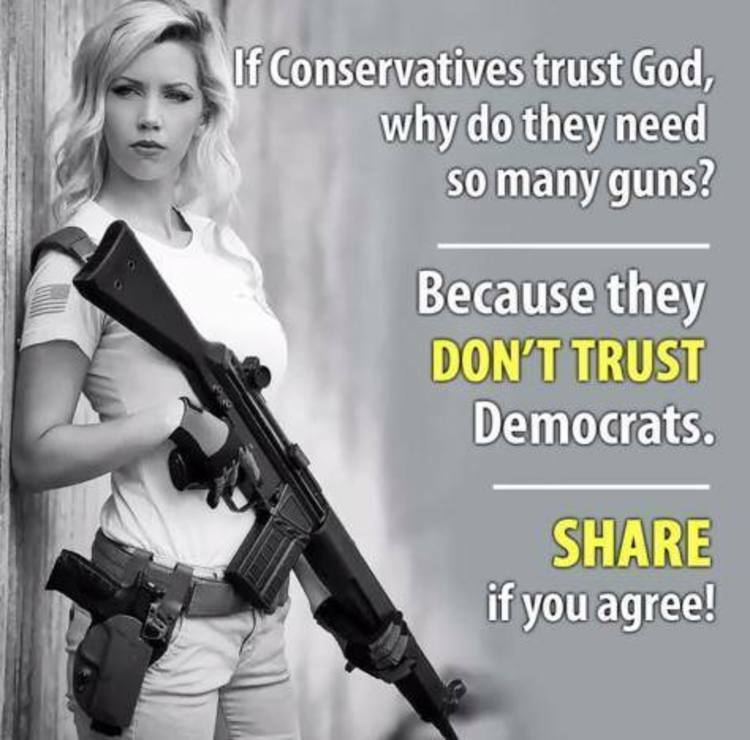 It is those same Democrats who question law-abiding gun owners, that have implemented policies which have left the average American more and more vulnerable to crime and personal harm. Whether it be sanctuary city policies, flooding the U.S. with poorly vetted refugees, or the ever-dangerous “gun-free zones” – liberal politicians have consistently placed Americans in harms way. And they want to question your right to bear arms? They are the very reason the Second Amendment is so important. Next time they question gun owners, show them this!